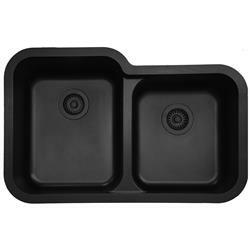 Quartz Sinks - Kitchen & Bathroom | Holdahl Company, Inc.
Karran QU quartz undermount sinks are designed with flat mounting rims and no faucet deck for undermounting with a small negative reveal into all solid surface, granite and quartz countertops. If you are looking for a sink to seamlessly integrate into laminate, solid surface or stone countertops, then select a Q Series model like the Q-360R, Q-350, Q-340 or Q-320 models. 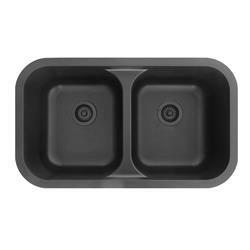 These sinks have a specially designed rim structure that allows for seamless integration in any laminate, solid surface or stone countertop. 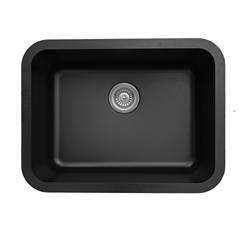 Our top mount QT sinks are perfect for an above counter installation in any type of countertop. Crafted to uncompromising quality standards, our Karran quartz sinks set the industry standard for quality, durability and overall performance. Combining the highest grade quartz crystals with the purest of acrylic resins produces a sink of incredible strength. 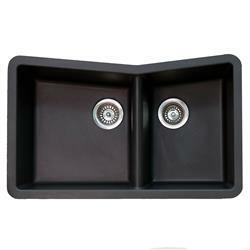 Elegant color options and crisp styling ensures a modern yet timeless collection of sinks.